The Voice of San Diego ran a story today about the Cadiz Project that provides a “teachable moment” about the complexity of California water. Would the Cadiz project benefit from failure of the Bay Delta Conservation Plan (“BDCP”)? The Voice says yes. Professionals know that water is complex and the impact of a Bay Delta failure is no exception. The big winner would be bi-national water projects, not Cadiz. The Metropolitan Water District of Southern California (“MWD”) has 1,911,500 acre feet of Table A entitlement to the State Water Project. According to Department of Water Resources’ most recent assessment of SWP deliverability, this contract generates about 1.2 million acre feet on average. If the BDCP fails, SWP yields will fall. Let’s assume that there are major cutbacks—25% to 50%. Therefore, MWD’s annual loss would be, on average, 300,000 acre feet to 600,000 acre feet (see table). Shut-off from the North, MWD must look west (desalination) or east (to the Colorado River). Professor Erie is correct that the value of “deliveries from the east” would increase. The impact on the Cadiz project is more complex. MWD would need six to twelve projects with average annual yields of 50,000 acre feet per year. Cadiz is not large enough to solve Southern California’s problem. Where will Southern California turn? It will look in many directions. Southern California must look south. The adoption of Minute 319 last year could not have been better-timed. Minute 319 creates the framework for bi-national water projects where U.S. water users fund water conservation and new projects in Mexico in exchange for new water supplies. 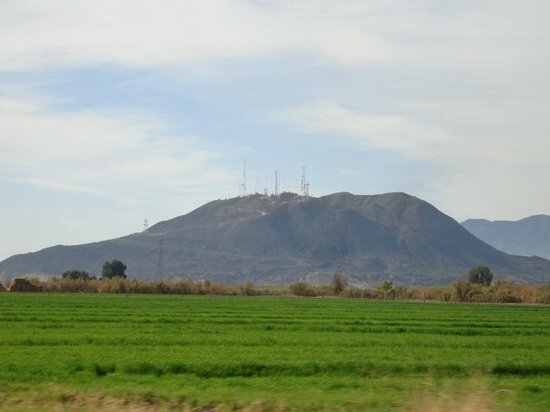 Southern Californians will be funding water conservation in the Mexicali Valley, infrastructure improvements to cut carriage losses, and desalination projects in Baja. Mexico has the potential to develop hundreds of thousands of acre feet of water. How will water get to Southern California? Mexico will release Colorado River water available from its 1.5 million acre foot entitlement under the 1944 Treaty between the United States and Mexico in exchange for water generated by bi-national water projects. Water will then be released from Lake Mead to Southern California via MWD’s Colorado River Aqueduct. MWD’s current unused capacity would then be used to deliver water “from the south”. The Cadiz project would be shut out of the Colorado River Aqueduct. The Cadiz project must then develop a new pipeline system to deliver water to customers. The cost of a new regional pipeline system will replace wheeling fees paid for using MWD’s unused capacity on its Colorado River Aqueduct. The only way the Cadiz project becomes more valuable and “more likely to happen” would be if MWD’s wheeling rates exceed the cost of building a smaller-scale, new regional pipeline system. With MWD’s aqueduct capacity 10 times the Cadiz project, this would shatter the widely held belief about economies of scale in water infrastructure. The water industry awaits a sequel to Chinatown. The Voice article may look promising as a “movie concept”, but the real story will be found in Mexico. If one is driving down Interstate 5 to San Diego, keep going to the border. Get a Sentri Pass. This entry was posted in Bay Delta Conservation Plan, Colorado River Basin, Desalination, Minute 319 and tagged Bay Delta Conservation Plan, Cadiz Project on July 8, 2013 by Rodney T. Smith. The Bay Delta conservation Plan is in a lot of trouble. The tunnel project does not pencil out financially (See Dr. Jeff Michael’s blog “Valley Economy”). The Delta water supply is limited and over-subscirbed. Those who plan for metro needs must include sources other than the Delta. Thank you for the opportunity to comment. Rogene Reynolds, South Delta. Do agree that Bay Delta Conservation Plan faces challenges. I will be reviewing the economic analysis and will post my own analysis in August. Do agree with your point that ALL alternatives must be considered. When we consider the stakes (environmental resources, local economy in the North, and the economic foundation of the Central Valley and Southern California). Keep looking for our posts and information.